Heritage Club in Pawley’s Island. Matt considers this the premier property in the Legends stable of Myrtle Beach golf courses. He loves the setting of The Heritage Club and the fact that you get breakfast and lunch just adds to the value of this fantastic course. Tidewater Golf Course in North Myrtle Beach. This property is one of the premier golf courses on the north end with outstanding views that run along the waterway. Tidewater is always in great shape according to Matt and he feels is a great value with several of the different deals that they offer. TPC Myrtle Beach. This Tom Fazio design has hosted the Champions Tour, and is a lot of fun for the average golfer. The golf course is pretty wide open and big, you will have a hard time loosing a golf ball at this Myrtle Beach golf course. The Dunes Club. A true, classic Myrtle Beach golf course. Designed by Robert Trent Jones and re-designed by Reese Jones in 2013, Matt loves this semi-private course, especially the 13th hole – referred to as “the Waterloo” because of the U shape. Caledonia & True Blue in Pawley’s Island. These two courses that are both Mike Stranz designs tie for the number 1 Myrtle Beach golf course. Caledonia is one of Matt Ginella’s favorite golf courses of all – not just in the Myrtle Beach area. 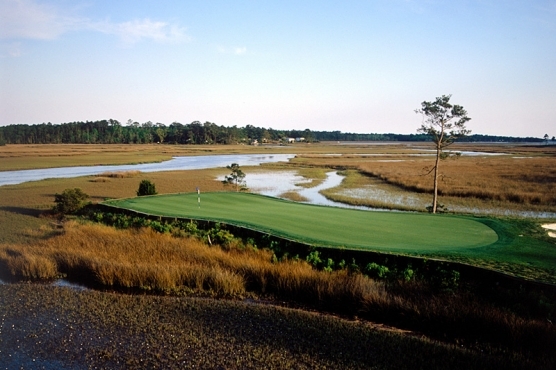 You can’t go wrong with either of these Myrtle Beach golf courses. Competition breeds excellence. With over 100 golf courses in such a concentrated area, you really can’t go wrong with any of the Myrtle Beach golf courses.